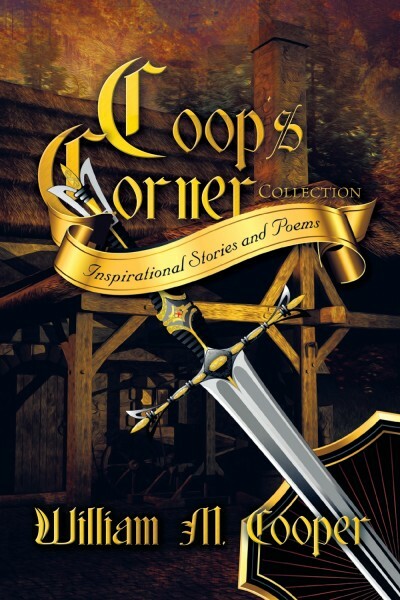 "Coop’s Corner Collection: Inspirational Stories and Poems is a marvelous collection of short stories and poems that reinforce such noble characteristics as love, duty, respect, honor, self-sacrifice, patience, humility and compassion. Readers will put themselves in the stories and find wisdom and truths that they can live by. ""William Cooper is a wonderful dreamer. He puts together his little stories like the child with the still impressionable mind that dreams of a better world for all of us. And you can tell he writes his stories so that everyone can read them … adults and children alike. Parents don’t have to worry about their youngsters reading questionable material. But most importantly, the stories have their own little messages. They’re stories of honor, strength, kindness, and love … even love for enemy. And Cooper’s writings are vivid … you see things, places, and people so clearly, yet without long passages of descriptive writing. A talent in and of itself."" – Robert G. Christie, filmmaker, RC Feature, Columbus, Ohio"